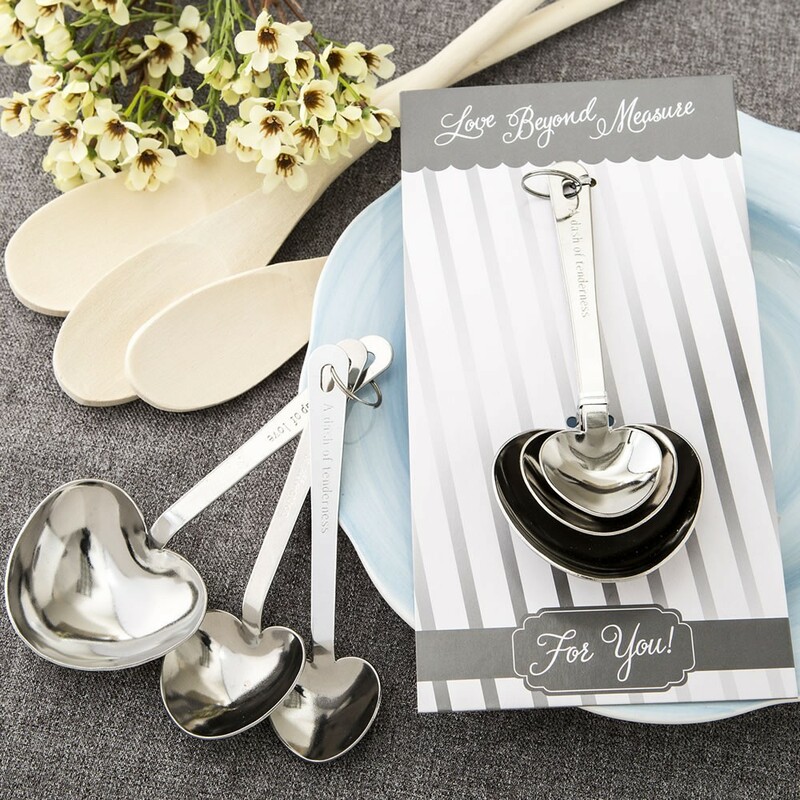 Capture your guest's hearts with a set of charming and usable heart shaped measuring spoons. They will measure out just the right amount of love as a wedding shower favor or wedding favor. 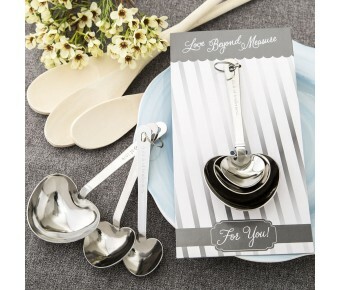 This fabulous set offers 3 stainless steel heart shaped measuring spoons. Each has a different love saying engraved into the stainless steel. The measurement are engraved onto the back of the spoons. Offering a classy and functional favor is a winner at any event and these stylish measuring spoons will thrill your family and friends!